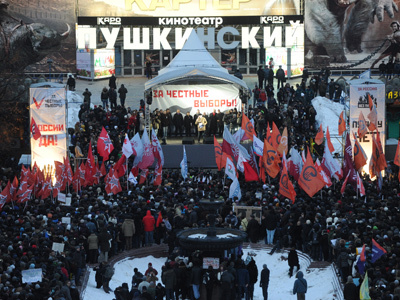 Russia’s opposition movement is set to bolster its position, as elections to the Opposition Coordination Council kick off. The 45-member body is set to bring together those who have been coming out to streets since a disputed parliamentary vote. The vote began online on Saturday morning as over 50 polling stations have opened all across the country, and even around the globe, including the US, UK, Germany and other countries. 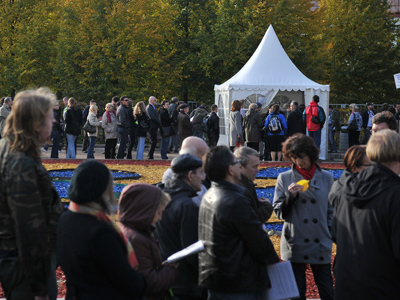 By Sunday evening over 60,000 had cast their online ballots out of the 157,000 people who registered at the OCC’s website in the run-up to the poll and on Saturday. 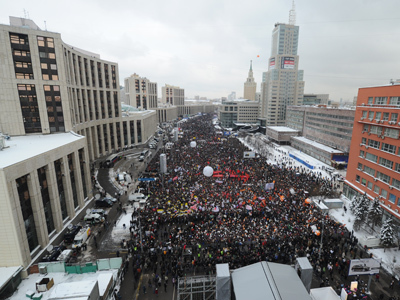 The protest movement in Russia sprang to life as the winter parliamentary election left hundreds of people across the country suspecting the result was rigged to allow the United Russia party to gain a majority of seats. Thousands went out to streets to show their anger. The movement brought together different layers of society and soon critics started accusing its leaders of lacking unity. This is a shortcoming the new 45-member body is designed to overcome. But the first step the council is expected to take is to schedule another national protest, presumably for December. The council, which will receive a one-year mandate, will include 30 independent members and five representatives for each of the liberal, leftist and nationalist movements. Over 200 candidates are running, including opposition blogger Aleksey Navalny, liberal leaders Boris Nemtsov and Garry Kasparov, the Left Front leader Sergey Udaltsov and socialite Ksenia Sobchak. But opposition parties in parliament have proven unwilling to put forward their candidates, saying they don’t want “to waste their time” and prefer “real elections”. The Communist Party is not running at all. 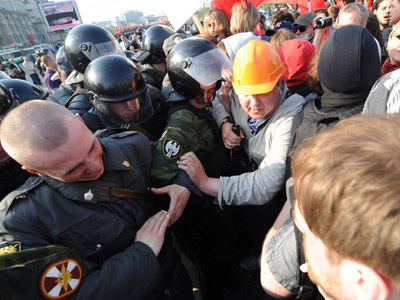 MP Ilya Ponomaryov, the only member of Fair Russia social-democratic party to submit an application, later withdrew it, citing fears the council would be overrun by celebrities seeking media attention. He still urged for the vote to take place and bring “new people” to the opposition leadership. The vote will continue into Sunday. The board says the election could be prolonged for several days as a continuing DDoS attack on the website has been hampering online ballot casting. Political experts, however, do not think electing a coordination council will make the 'street' opposition a real political force. 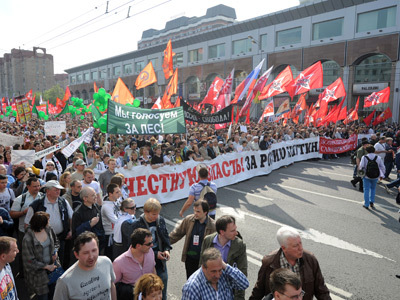 Analyst Mikhail Remizov notes that the movement leaders prefer to stage 'elections' instead of registering their own political party, while the whole atmosphere around the movement reduces whatever achievements the protests have brought. 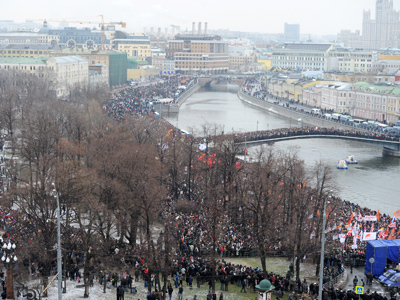 Independent journalist, Mikhail Fishman, says that the Council would be unrepresentative and much more radical than the civic protest it was set to represent. The body’s functions and targets also remain unclear. 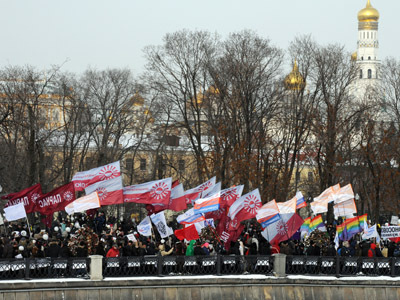 Others hail the opposition’s attempt to finally unite under one umbrella.